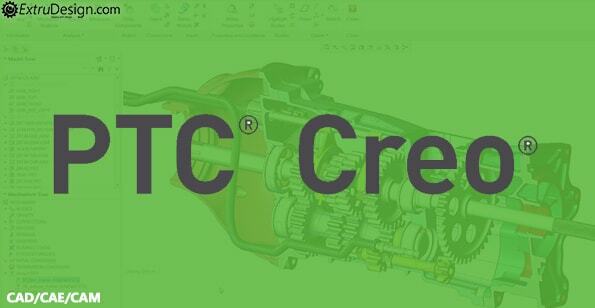 PTC Creo is a family or suite of Computer-aided design (CAD) apps supporting product design for discrete manufacturers and is developed by PTC. 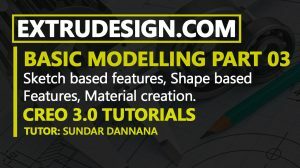 The suite consists of apps, each delivering a distinct set of capabilities for a user role within product development. 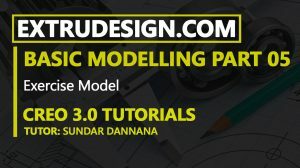 In this Edublog, we help you understand the way thing work in Creo software suite with tutorials and step by step guides for free. 06. 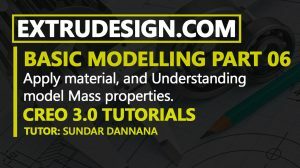 Apply material to model, How to read mass properties in creo? 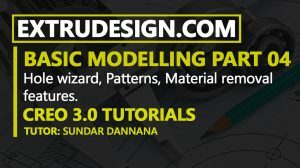 Filed Under: CAD/CAE/CAM, PTC CREO Tagged With: center of gravity in creo assembly, cg values in creo, create a ne material composition in creo, Creo mass eleastic data, creo tutorial, creo tutorial for beginners, How to apply the material in creo?, How to get Center of gravity values in creo?, how to read inertia in creo?, How to read the mass of the 3D model in creo?, How to read the volume of the 3D model in creo?